From the same collection as the one I’ve featured on Tbilisi, this “Portaits de Ville” is not your usual travel guide. It is a photography book. The Be-poles Editions give artists photographers carte blanche to depict a city through their eyes. Don’t expect descriptions with words but rather with a short foreword written, in this case, in French (some are translated but not this one). Anyway no need for words, the point is to catch the atmosphere of a city through the eyes of the artist and get from there an exquisite feel of poetry. The preface of and the pictures are from Philippe Chancel, journalist photographer and artist. Its aesthetic is reminiscent of a Moleskine journal. I love the soft old gold hue of the cover of this edition. If not available on Amazon, you can buy it from les Editions Be-Pôles. 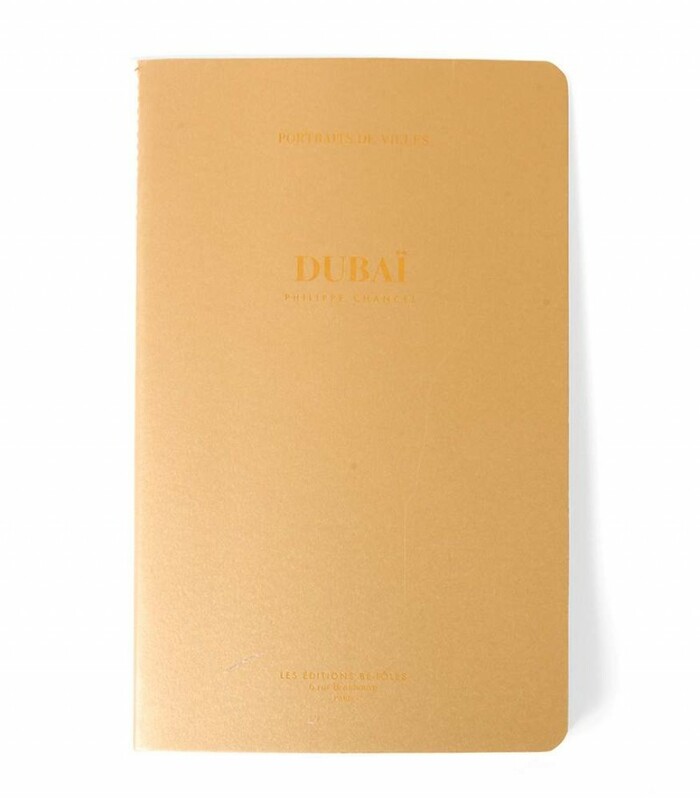 Personally I bought it in Dubai at Comptoir 102.